We’re committed to working towards a cleaner, safer environment for you and your staff. Wilkes Cleaning’s commitment to safe working practices is Director led with our Managing Director regularly attending British Institute of Cleaning Science led courses ensuring up-to-date procedures and practices that are filtered down to operatives through our health and safety policy, company handbook and regular training initiatives. Our Health & safety documents are reviewed annually by an independent chartered member of IOSH-CMIOSH to ensure absolute compliance to the Health & Safety at Work Act 1974 and Management of Health and Safety at Work Regulations 1999. 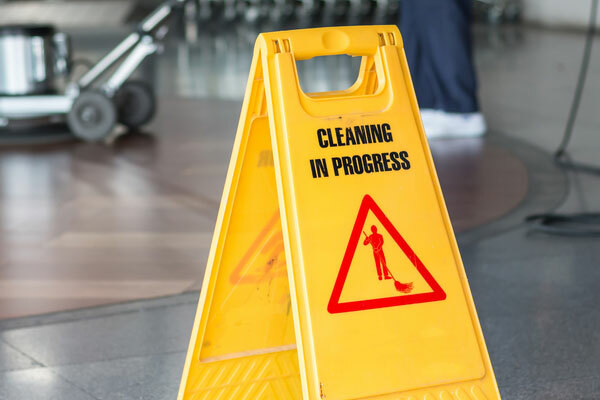 We carry out Risk Assessments and provide method statements prior to any work being undertaken and ensure cleaning operatives are informed of all the relevant health and safety matters, risk control systems and workplace precautions. We undergo Control of Substances Hazardous to Health (COSHH) assessments and training and have all the required health and safety accreditations to ensure all of our cleaning solutions are completely safe to you and your staff.